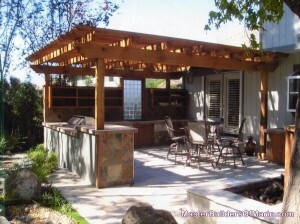 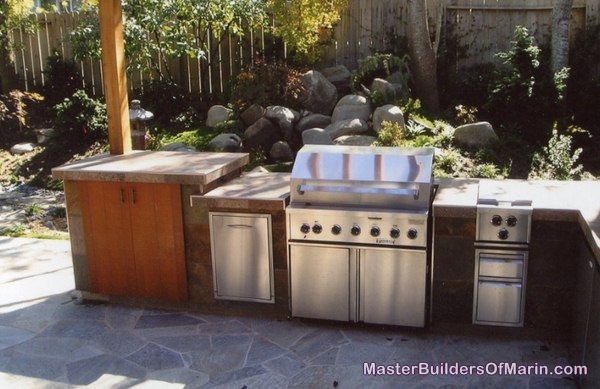 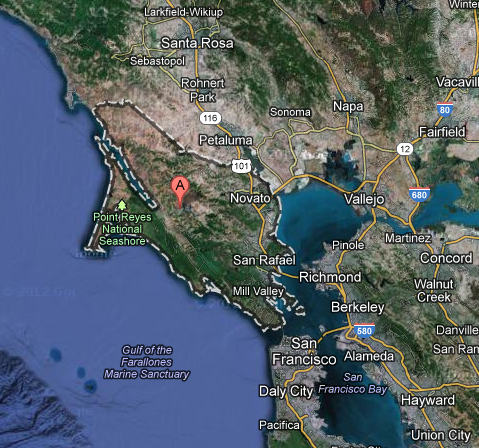 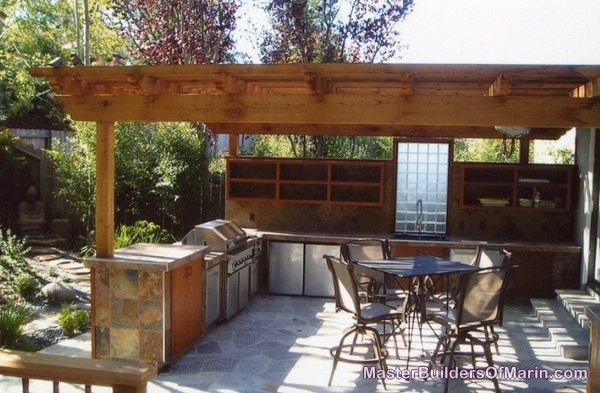 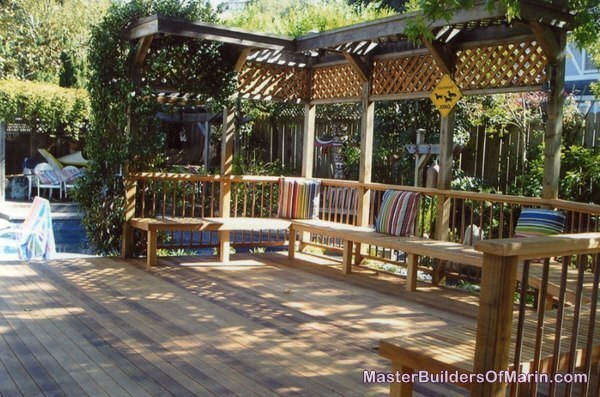 I designed and built this outdoor kitchen for a client in Novato, CA. 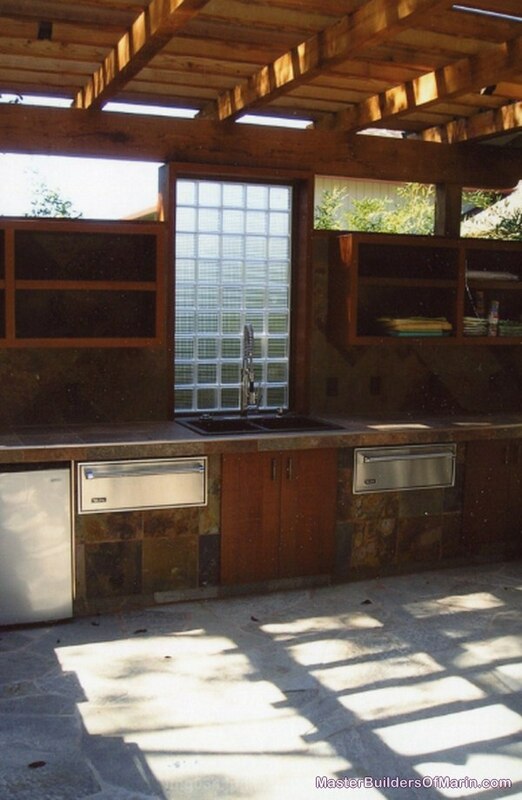 We used heavy beams sculpted to a traditional pattern, slate, and stainless steel appliances to create a private outdoor area. 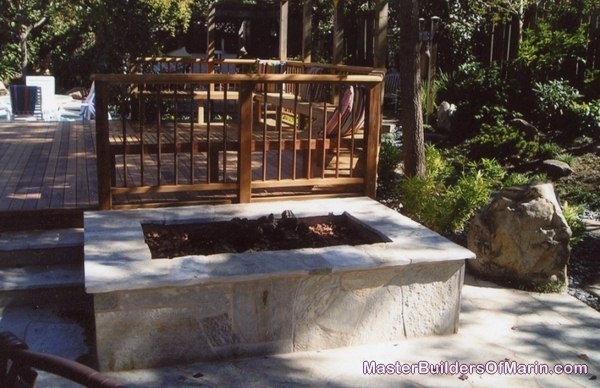 The rectangular fire pit and all of the patio was covered with granite quartzite stone from a quarry high in the Colorado Rockies. 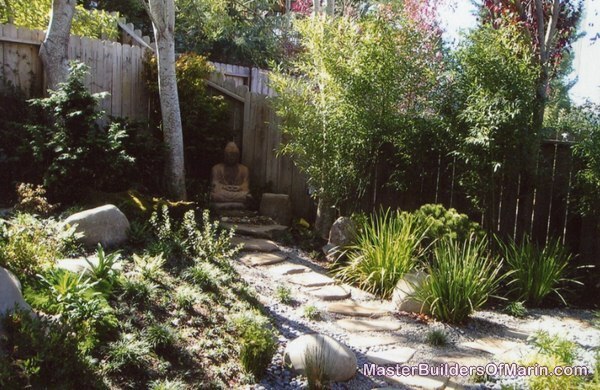 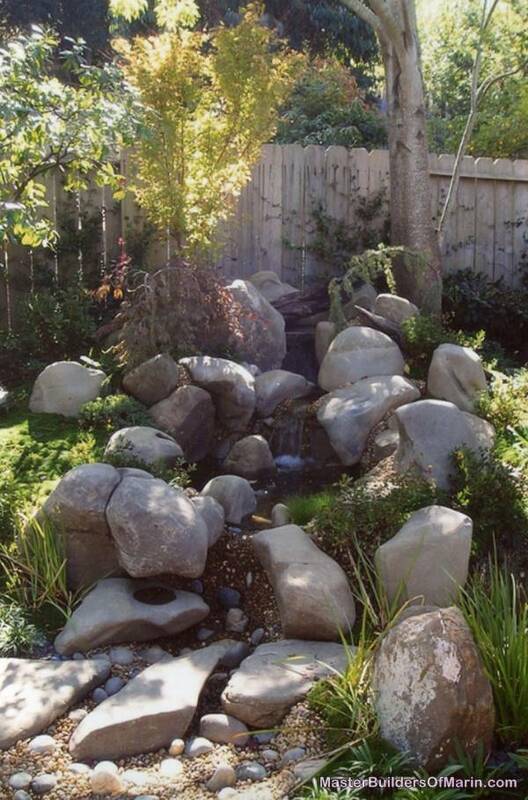 The water feature was created by the same landscape architect responsible for recent features at the Japanese Tea Garden in San Francisco’s Golden Gate Park.